While there is a multitude of things that are challenging and unexpected, getting your network resources together will be rewarding. The strength of your professional network can make or break you in the early days of your startup. Trust me, I should know. 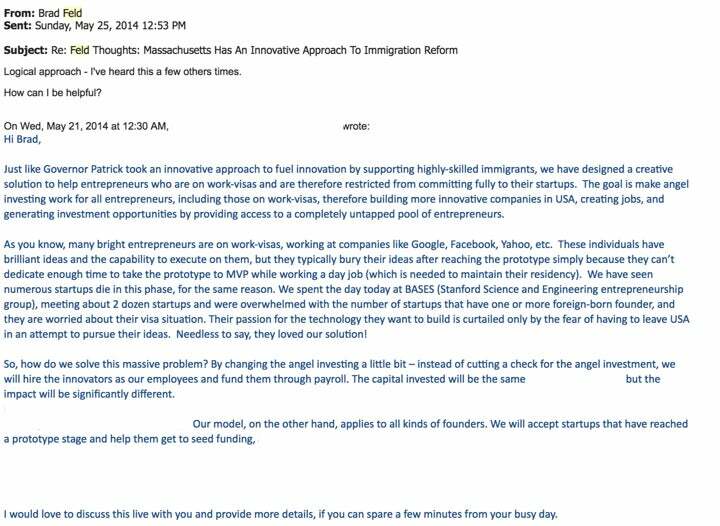 When we launched Unshackled Ventures, a firm focused on immigrant entrepreneurs, we started with a simple thesis: retain and attract the best entrepreneurs in the world. It was one part aspirational, two parts delusional. Why? Because neither of us had any venture background, nor had we ever led a company to a successful outcome. Instead, we were two friends armed with an aspiration to make an impact. We were optimistic with an, at best, average network, which we set out to grow. So we did what we thought was best: surround ourselves with an ecosystem of influencers. After six months of relentless networking, we brought together nearly 80 investors, of which only 10 percent were known to us previously. This group was the most instrumental difference maker in the success of our firm. Reflecting back on this process and recognizing we live in the renaissance age of entrepreneurship, hard work and intellect have become table stakes, but what creates the greatest advantage is the resources and network you are surrounded by. It was in this pursuit of this network that we saw a few things that worked. Sending cold emails can be very daunting. In fact, data suggests, the likelihood of a cold email receiving a response is somewhere between 2 and 20 percent. How do you break through? It’s about timing and creating a reason for the receiver to believe in you. It should be empathetic, concise and actionable. For us, an example is our email exchange with Brad Feld (see redacted email below). We focused on creating a positive tone that would elicit a warm response. But what is not clear is that this is in response to a blog post Brad had authored a few weeks prior. And it worked! One of the oldest concepts in marketing is the Rule of 7: that a prospective buyer needs to hear or read your message seven times before they buy it from you. The same applies to networking, which starts with showing up. We often hear from entrepreneurs, “We don’t have the time to attend event XYZ for ABC reason.” While it may be true, it’s also a missed opportunity to make a first impression. Influencers are good networkers and socialize well and often, and as an entrepreneur, this is one of the best ways to start building your network. We have a strategy to make ourselves memorable. We show up to a relevant event, engage in intelligent and informed conversations, exchange business cards, email the person we met with a reference to where we met and then connect on LinkedIn a few days later. After that, if there was a reason to follow up, we will schedule a one-on-one meeting or phone call to continue the dialog. As a result, the more places we show up to, the more likely we are to know people. Harnessing and repeating this is incredibly valuable -- it is how we were able to bring on 20 additional investors into our fund. As an entrepreneur, time is the most valued asset. One of the most common mistakes we see is an entrepreneur who is scared of over communicating, because it takes so much time. Yet, our most organic successes have happened when we have kept people informed and proactively communicated to close the loop. Sometimes it can feel like an enormous waste of time, but it isn’t, because it keeps you top of mind. We also recommend compensating your advisors so you know you can request your advisor’s time. By providing compensation (in most cases, equity), you can create a level of commitment and responsibility that you would not have otherwise. Networking is time consuming and hard. Yet, as a startup founder, it is an expected rite of passage. But while there is a multitude of things that are challenging and unexpected, getting your network resources together will be rewarding. These strategies will help you enhance your probability of success at the earliest stages.